The Government is proposing new legislation that would allow nationally or locally significant urban development projects to be built more quickly. It is proposing a tool-kit of enabling powers that could be used to streamline and speed up particular large scale projects, such as suburb-wide regeneration. Only land that is already within an urban area, or that is sufficiently close to an urban area that it may in future service that area, will be affected by the proposed legislation. The projects would be planned and facilitated by publicly-controlled urban development authorities, potentially in partnership with private companies and/or landowners. The Government would decide which enabling powers could be used for particular projects; not all powers would be granted for all projects. Central government and territorial authorities would have to work together to identify and agree on urban development projects and would consult the public before granting the relevant enabling powers. Land – powers to assemble parcels of land, including existing compulsory acquisition powers under the Public Works Act 1981. Planning and resource consenting – powers to override existing and proposed district plans and regional plans, and streamlined consenting processes. Infrastructure – powers to plan and build infrastructure such as roads, water pipes and reserves. Funding – powers to buy, sell and lease land and buildings; powers to borrow to fund infrastructure; and powers to levy charges to cover infrastructure costs. An urban development authority would not have building consenting powers. None of the proposed powers would override any Treaty of Waitangi settlements. National environmental standards would also have to be met. The relevant powers would only apply to a particular project and would expire when the project is completed. Written comments on the UDA Discussion Document need to be provided to the Government by 5pm on Friday, 19 May 2017. Whether there is a need to be more specific about the nature and scale of the proposal to which the UDA power might be applied, i.e., whether there should be a minimum scale or significance specified or whether the market will regulate this? Whether there should be a ‘public benefit’ element to any proposal to which the UDA provisions would apply? 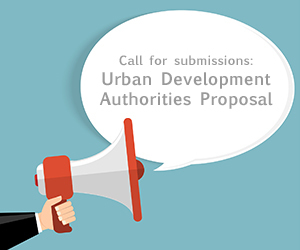 Should the legislation contain provisions that set the bar in terms of the minimum requirements for a UDA proposal in terms of business case, spatial planning, etc. Whether the term ‘urban’ within the context of the UDA proposals should be defined. For example, should this relate only to Future Urban zoned land or be defined in some other way? Should there be more definition around the UDA “vehicle”, in terms of structure, etc. or should that be left at large? Is there any likelihood of perverse outcomes if additional definition is not provided? Should there be an ability to give UDAs further funding powers in addition to the ability to obtain development contributions and access targeted rates provided in the Discussion Docunent? How should any increase in the value of land within a UDA area be dealt with in terms of Public Works Act compensation? (a) The powers to override existing and proposed district and regional plans, including RPSs. (i) “Consultation” would only be required in relation to the phase where the Government was considering establishin a UDA – with no rights to be heard and no appeals, despite the scale of the proposals. (c) The proposed role of the Minister in local decision-making. As noted, comments need to be filed by close of business on 19 May 2017. If you wish to provide feedback to be considered for incorporation into the RMLA’s submission please send your comments to RMLA’s Executive Officer, Karol Helmink – karol.helmink@rmla.org.nz – by no later than 5pm on Wednesday, 10 May 2017.